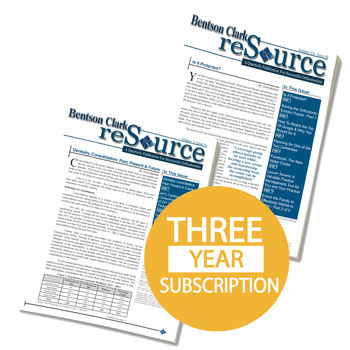 This is 3-year subscription to the Bentson Copple reSource. The reSource is an all-in-one informational source that provides and analyzes real data from real practices to present the most accurate information available within the orthodontic industry. Each issue of the Bentson Copple reSource includes articles written by the most distinguished consultants, industry insiders and businesses leaders within the world of orthodontics.